I'm kind of a sucker for ‘war movies.’ Maybe it’s because whenever a war film or Spaghetti Western was on TV when I was a child, my father would stop to watch it even if it was only the last five minutes. I don’t recall showing much interest in said films but perhaps it sank into my psyche. Or maybe it’s because while I’m in the military, I’m not exactly in a ‘military’ career and my idea of danger is forgetting to discharge a capacitor before troubleshooting something so these movies are a chance to live vicariously. Maybe I should be talking about this to a psychologist rather than rambling. Fairly well, actually. Like the other two films this isn’t a movie about people inwar. It’s about people whose life is structured around war. 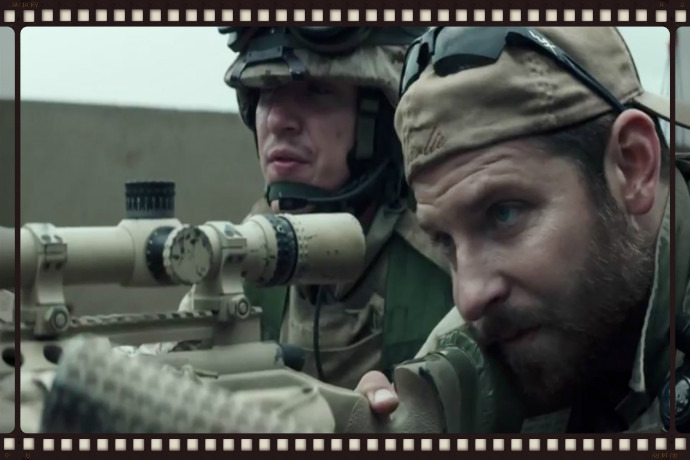 In American Sniper, Bradley Cooper is Chris Kyle, a good ol’ boy from Texas who enlists in the Navy after seeing the August 1998 attacks on U.S. embassies in Tanzania and Kenya. Determined to do everything he can to save lives and protect his country, he successfully becomes a Navy SEAL.